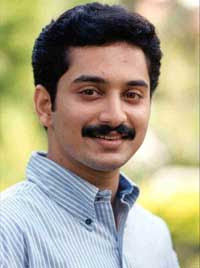 Noted veteran director Fazil’s son Shanu is back as an actor in Kukku Surendren’s Mirror! Remember, Shanu made his acting debut a few years back in Papa’s Kaiethum Doorathu opposite Nikhita, which bombed miserably. The boy went back to his studies in US, and has now come back to give it one more try. Kukku’s Mirror is a horror thriller and is a multi starrer. The film has another Fazil discovery Kunchacko Bobban, Roma and newcomer Sandeep Senan in supporting roles. The film written by C. Balachandran will start on September 6 at Kochi.